Many people have questions about what is happening in their lives. 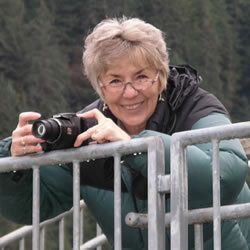 My services are designed to aid you in finding the answers. The Natal Sky session is the basis for understanding everything else. From there you can look at the Moving Sky for an in-depth view of how its energies are affecting you now. As it changes over time, you may want to keep up to date with the Future Sky. If you are already familiar with your horoscope and just need some insight on the present moment, the Quick Look consultation may suit your needs. This session explores the core of who you are and what your path in life is about. With your very first breath you drew in the energies of that moment, reflecting the essence of you. Understanding the patterns of that energy can bring a profound sense of awareness and direction into your life. 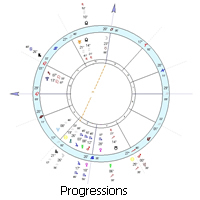 In the Moving Sky session, I offer you an analysis of the progressions and transits as they have connected to your natal chart up until now. We look at your natal chart in terms of how it has changed, reflecting who you are now and how you’ve traveled along your path. 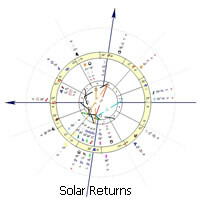 This is a look at the annual Solar Return on your birthday and the upcoming progressions and transits for the next twelve months of your life. This session includes a full report. If you just need some insight on the present moment, the Quick Look report may work for you. 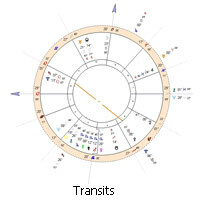 It includes a bi-wheel chart of the current transits of the outer planets and Chiron placed around your natal chart with a short interpretation of those that relate to your immediate concern.